A two-day Animal Disease Investigation (ADI) course has been developed and run in Victoria to train field veterinarians on how to perform effective livestock disease investigations in the field including structured autopsies. Prof. Grant Rawlin and Dr Stephen Pefanis have run the course for two years, training 140 animal health professionals. In 2018, the training team was approached to ascertain if the course could be included in a Thailand/Australia twinning project around Animal Health. Additionally, the head of the veterinary laboratory of Bhutan attended an ADI course in 2018 and requested the course be made available to train members of the veterinary service of Bhutan. Supported by the Crawford Fund, a series of four workshops were organised and run by four Australian veterinarians in Thailand and Bhutan, to teach and practice field investigation skills for complex livestock disease diagnoses. “We ran two-day workshops in Thailand to train 32 animal health professionals and three-day workshops in Bhutan which trained 56 people – reaching over 90% of the veterinary service of Bhutan,” Dr Rawlin said. “Practical days were held where the participants were walked through a systematic approach to autopsy and sample collection. Feedback from participants was very supportive of the practical approach to training”, he added. 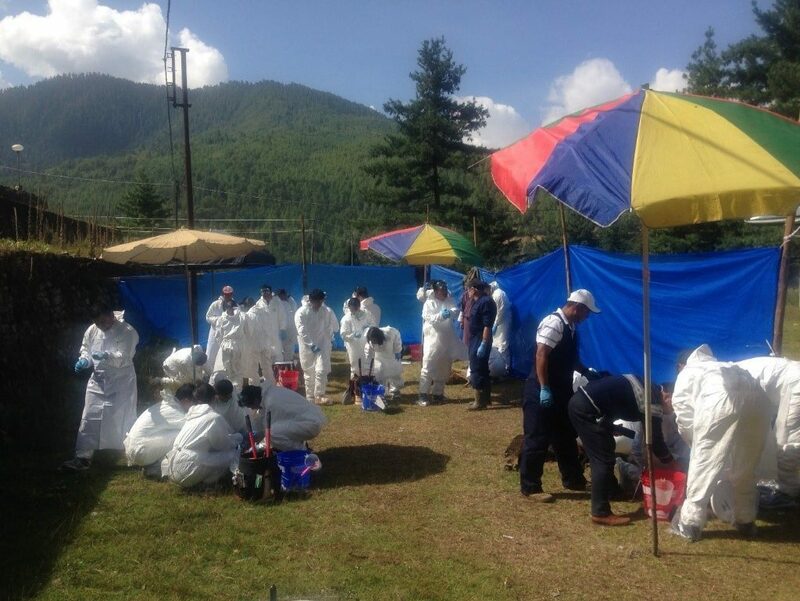 “In Bhutan, we demonstrated and practised a new field diagnostic technology (LAMP) which was then deployed for validation against field collected samples of Foot and Mouth Disease”.